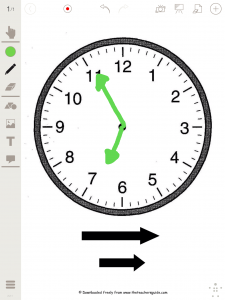 Though we live in a digital world, learning to tell time on a traditional clock is still a skill that must be mastered for elementary aged kiddos. My husband wears a watch but honestly I just look at my phone all the time! When I started writing this song, I realized just how detailed the process is. AND how easy it can be to take a task that becomes automatic after so much practice for granted. My client is high functioning and very bright. He knows all the steps to figure out the time and can even explain them to an adult. However, he fails to systematically execute every step, every time. My hope is that if he sings this song EVERY time, then all the steps will be completed. This particular client could probably hum the song quietly at his desk when completing worksheets in the general education classroom. I also realized there are few prerequisite skills that a student must know to learn to tell time: know short/long, identify numbers 1-12, skip count by 5s. (more songwriting inspiration for me!). 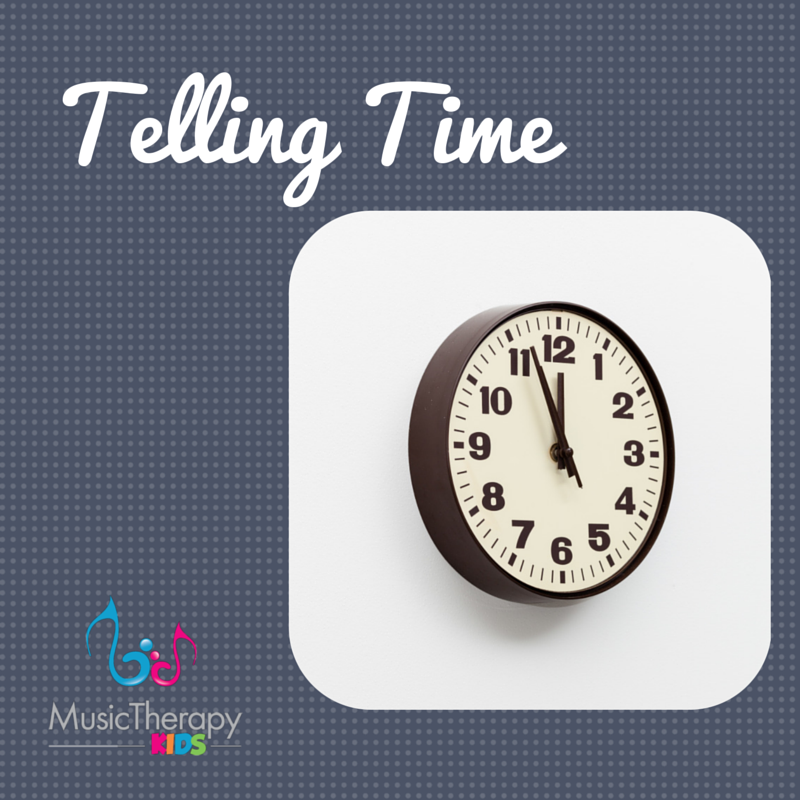 Even though all the steps to telling time are included in this song, you don’t have to use the whole thing. If you are learning to tell the hour then use only the first part over and over again. Use a “Judy” clock like this one as you sing. First find the short hand. It tells us the hour. If it’s in between then go back to the closest number. Then find the long hand. It tells us the minute. Start at the top and count by fives and ones if you need to. 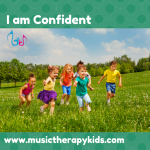 Do you need this song adapted specifically for your child? 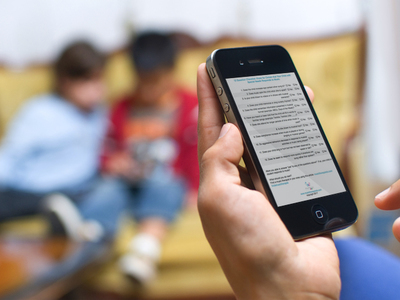 You can purchase a custom song experience from our store and for example receive a highly customized version with your child’s personal targets (for example – 12 verses/1 verse for each hour, random hours with 15, 30, 45, 00 minute intervals, or a blank hour with every five minute interval recorded as a verse). We will set up a quick chat by phone or skype so your needs can best be met! In the meantime, let me know how this blank version of the song is working for you! 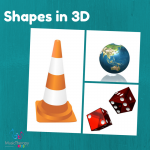 Get our FREE Singable Books ebook - 25 stories that can easily be used with music. That's all we needed! Now check your email to confirm your subscription. Does your child respond to music? Does your child respond to music? Know for sure with this FREE checklist. Get the FREE 12 question checklist and find out instantly! You're all set! Now check your email to confirm your subscription. Download our free 12 Question Checklist that will help you decide. Check your inbox for the list! 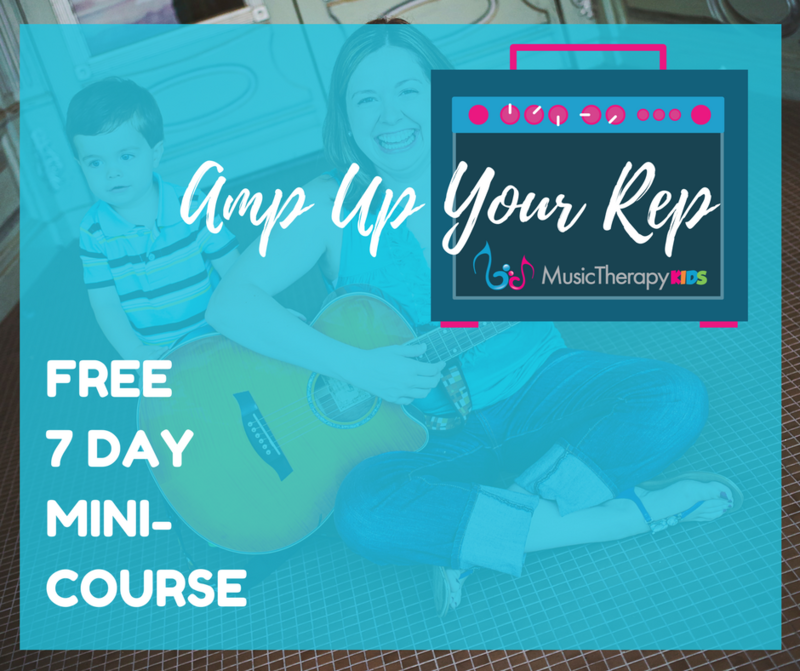 Join the 7 day mini email course that will revitalize your sessions with kids! 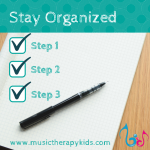 Get a lesson every day with fresh music strategies and tips for running groups that you can use right away. You're all set! Day one of the mini-course is on its way.